Kate and Lucie are best friends, who love, love, love dogs, but live in apartment buildings where the rule is: NO DOGS ALLOWED. 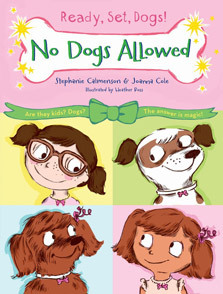 But thanks to their magic dog bone necklaces, instead of having dogs, they get to be dogs! In this second book of the Ready, Set, Dogs! 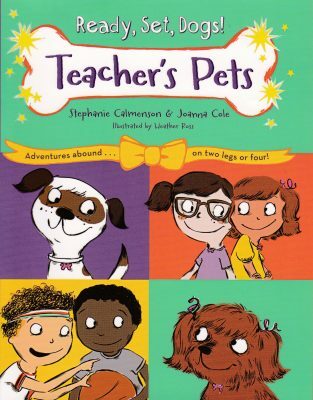 series, Kate and Lucie's class gets a substitute teacher who has the class going hog wild as he teaches about animal communication. At the same time, a girl in their class is making fun of them. What to do? As their funny and furry adventures continue, Kate and Lucie teach the class a thing or two about dogs and make a new friend in the process. 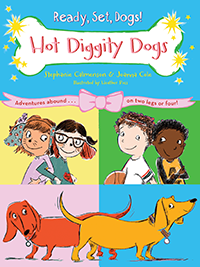 Other Books in "Ready, Set, Dogs!"